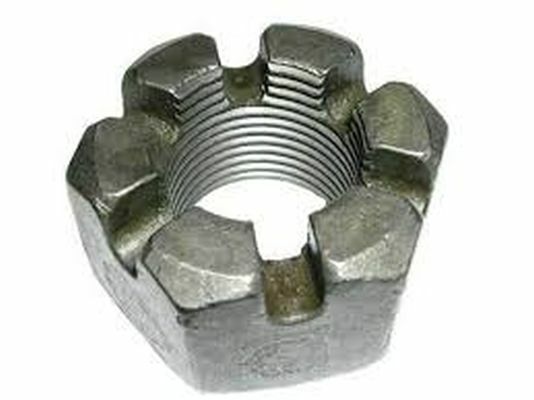 5/8"-18 Thin Jam Nut on crankshaft to hold Primary Clutch on 1963 to 1981 Harley Davidson models D, DF, DC and D4... Also Harley Davidson and Columbia Par Car Pitman Arm Retaining Nut... Also steering wheel nut for Taylor-Dunn... Also Front Axle Nut for 1965 to 1984 Cushman 3 wheel Haulster and Truckster. 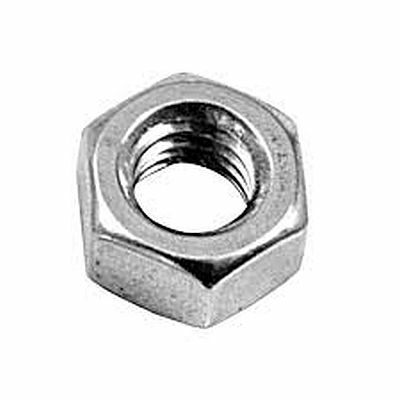 1/2"-20 Castle Nut for Tie Rod End for 1969 to 1971 Taylor-Dunn models B, BN and M... Also 1972 to 1975 Taylor-Dunn Tee Bird models GT-360 and GT-361... Also 1975 to 1985 Tee Bird models GT-370 and GT-371... Also 1984 and newer Taylor-Dunn models B-248 and B-254... Also 1989 and newer models B-660, B-661 and B-661E and others... Also model R-380 electric and 1998 and newer gas model R-680... 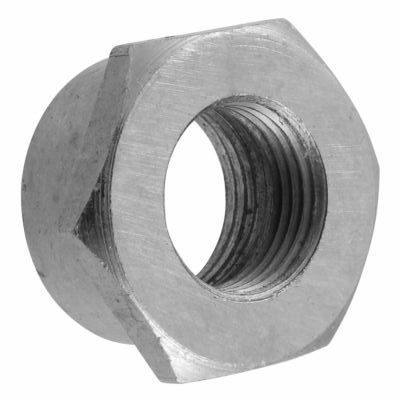 Many other applications. 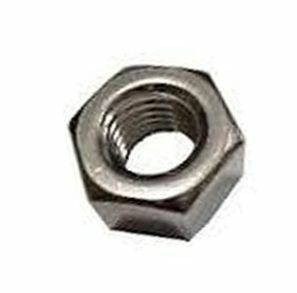 1/2"-20 Sway Bar Jam Nut for 1976 to 1978 Harley Davidson mode DE-40 and 1979 to 1982 model MG-IV... Also Steering Link Rod End Jam Nut for 1965 to 1974 Pargo three wheel cart... Also for 1980 and older Pargo model 873 and 1983 and newer model 830 beginning with serial # 8304311182... Also Pargo model 813 and 815... Also Westinghouse industrial models 253 and 254... Also Tie Rod Jam Nut and Crankshaft Nut on some Cushman models. 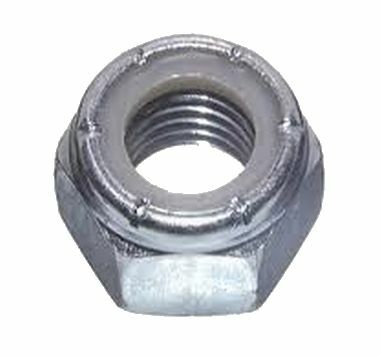 1/2"-20 Left Hand Jam Nut for Tie Rod End on 1996 to 2012 Columbia Par Car Summit Utilitruck model SU5 & Expediter EX21 and other carts. 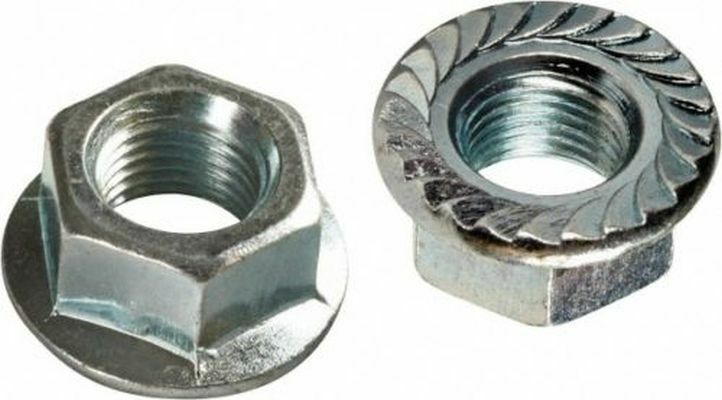 King Pin Nut for 1981 and newer Club Car +++ Lower shock mount nut on 3 wheel E-Z-GO +++ Tie Rod End Nut on Columbia Par Car SU5 & Expediter EX21 +++ Rod End Nylock Nut for Stud End for 1965 to 1974 Pargo three wheel cart +++ For 1980 and older Pargo model 873 and 1983 and newer model 830 beginning with serial # 8304311182 +++ Pargo models 812, 813, 814 and 815. 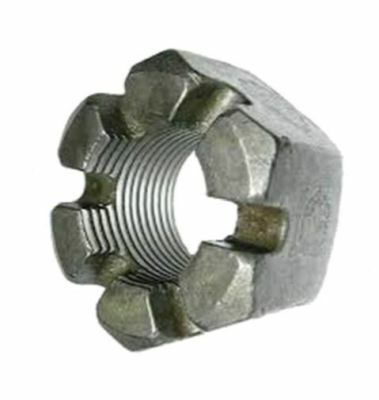 1/2"-20 Thin Nylock KingPpin Nut for late 1977 Harley Davidson model DE-40 after serial number 8D10057H7... Also 1979 to 1982 model MGIV (Master Glide IV). 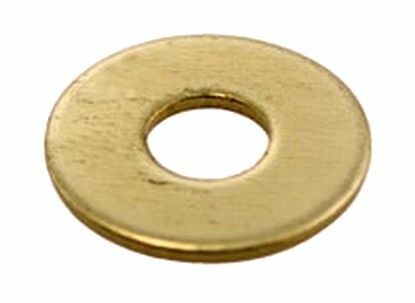 1/4" Brass Washer Speed Control Board on Cushman electric models 731, 732, Electric Deluxe models 881407, 881408, 881413 --- Also Executive model 898322 and Titan models 898315 and 898316 and others --- Also used on foot switch on Gran Cushman Golfster models GC300 and GC400 --- Also used on Forward and Reverse Contact on many older Cushman golf carts such as Deluxe models 881407 and 881408. 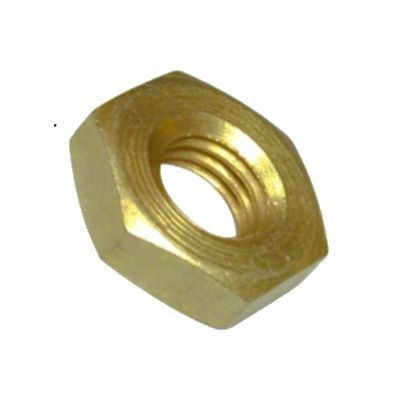 1/4"-20 Brass Nut for Speed Control Board on Cushman electric models 731, 732, Electric Deluxe models 881407, 881408, 881413... Also Executive model 898322 and Titan models 898315 and 898316 and others... Also used on foot switch on Gran Cushman Golfster models GC300 and GC400... Also used on Forward and Reverse Contact on many older Cushman golf carts such as Deluxe models 881407, 881408... Also Nordskog. 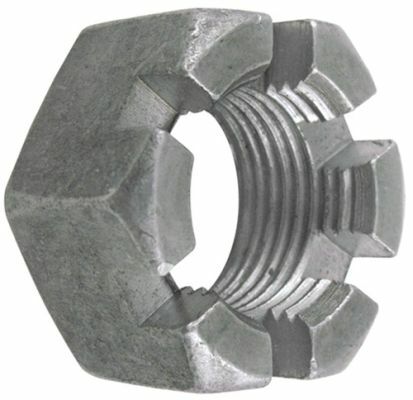 1/4"-20 standard course thread Nut for many applications on 1963 and newer Harley Davidson. 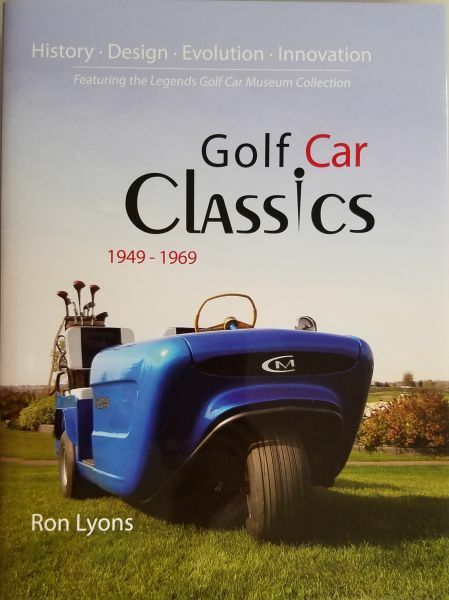 +++ Also Club Car, Cushman, E-Z-GO, Legend, Pargo, Jacobsen, Taylor-Dunn and others. 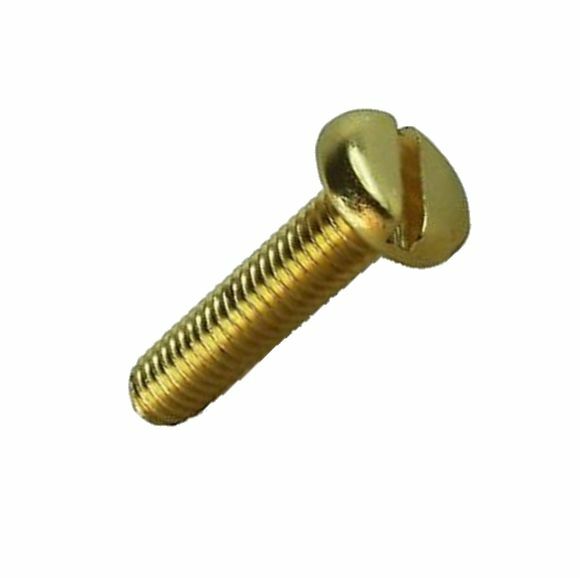 1/4"-20 x 1" Brass Screw for attaching Stationary Contact to Speed Control Board or Forward an Reverse Board on many Cushman electric models. 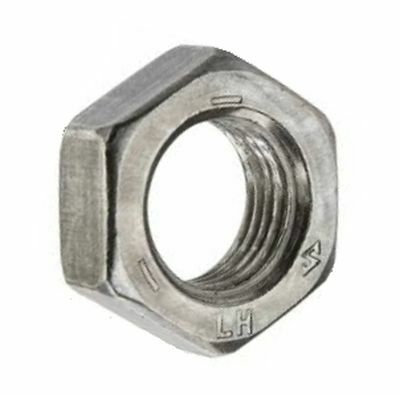 1/4"-28 Nut for many applications on 1963 and newer Harley Davidson, Cushman, E-Z-GO, Taylor-Dunn and others. 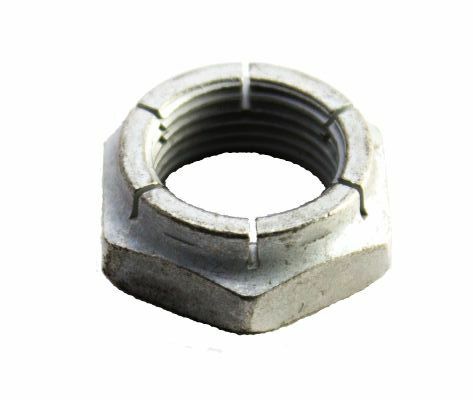 1/4"-28 Thin Nylock Nut for mounting Carburetor on 1963 to 1987 Harley Davidson with Tillotson carburetor... 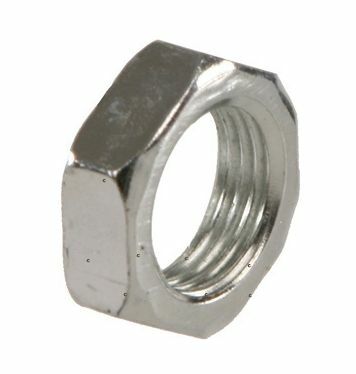 Many other apllications. 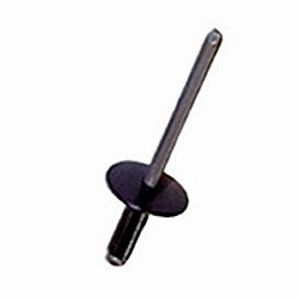 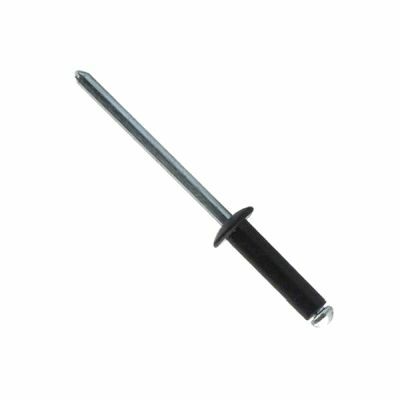 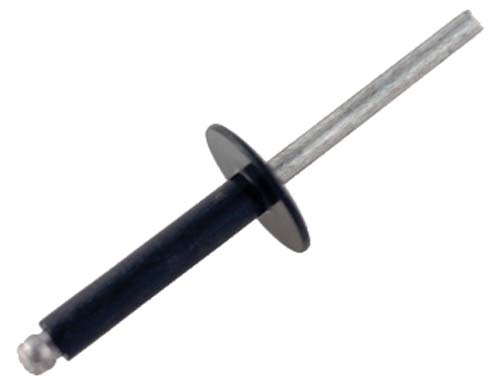 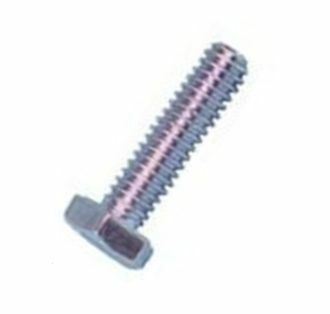 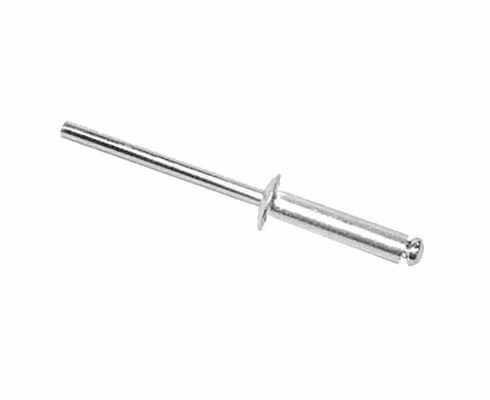 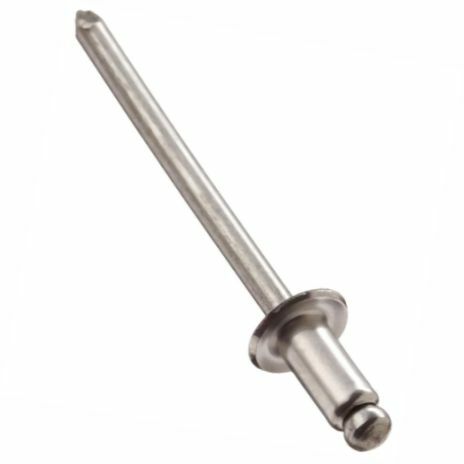 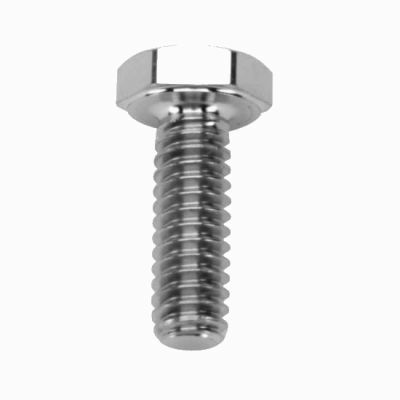 1/4-20 x 1" Bolt for J Hook for Speed Control on Taylor-Dunn models SC and AN and others. 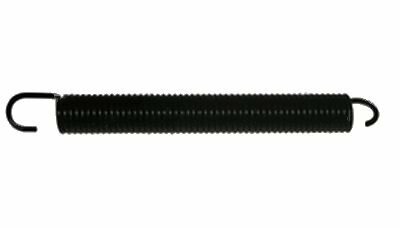 1/4-20 x 3/4" Bolt for Taylor-Dunn Five Speed J Hook with 2 holes... Also for mounting Dual Cup Holder on 1993 and newer Club Car model DS... Also for mounting J Hook on mid 1970s Eagle golf cart made in Long Beach California by Lad Industries... Also for mounting solenoid on 1963 to 1993 pre-Medalist Speed Board... Also Speed Control on Harley Davidson DE-40. 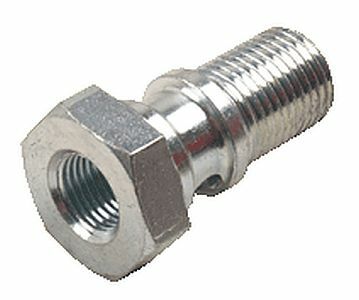 Squeeze Type 1/4" Hose Clamp. 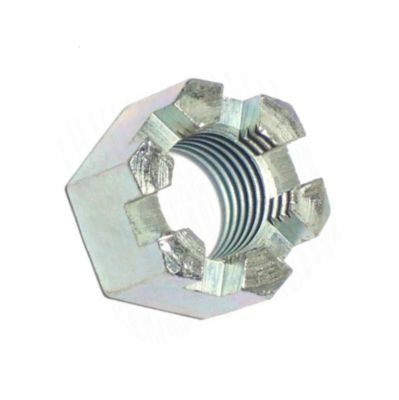 Slotted Castle Rear Axle Nut for 1991 and newer E-Z-GO with 4 cycle engine... Also 1996 and newer E-Z-GO Gas and Electric 4 and 6 Passenger Shuttle, ST Express, 875, 881, 950... Also Cushman Truckster, Haulster and Titan Vehicles... Also Front Spindle Castle Nut for 1974 to 2003 Club Car gas and electric models... Also Front Spindle Nut for Taylor-Dunn model 248 and others... Also Front Axle nut on Marketeer "Lynx" model 427 golf cart... Also Motrec Front Spindle and Kingpin Nut on many models... Also for Shuttlecraft. 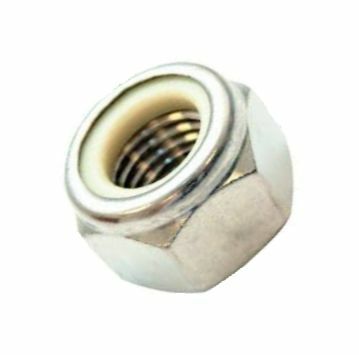 3/4"-16 Thin Jam Nut for Front Axle 1965 to 1993 E-Z-GO three wheel --- Also Jam Nut on 1953 to 1967 Cushman 3 wheel --- Also 1965 to 1984 Cushman 3 wheel Haulster and Truckster --- Also Motrec steering wheel nut --- Also Pargo and Legend three wheel front axle nut --- Also Marketeer 3 wheel front axle jam nut --- Also Motor Jam Nut for 15 tooth motor sprocket on Taylor-Dunn --- Also Speed Control Bushing Nut on Harley Davidson, E-Z-GO, Legend, Jacobsen and Melex --- Also Steering Box Jam Nut on Ross Steering Box on 1979 to 1983 Club Car. 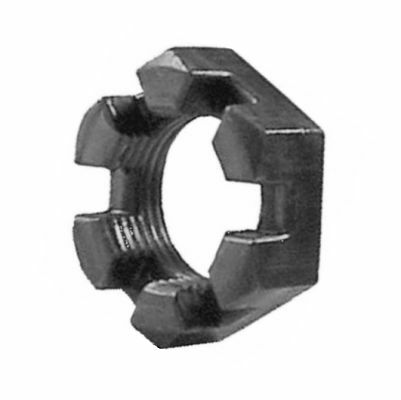 3/8"-16 Locking Whiz Type Flange Nut used on Brake Pedal Pivot Bolt on 1975 to 1994 E-Z-GO pre-Medalist models +++ Used on Shoulder Bolt on front of Rear Leaf Spring for all 1994 and newer E-Z-GO models +++ Many other carts and applications. 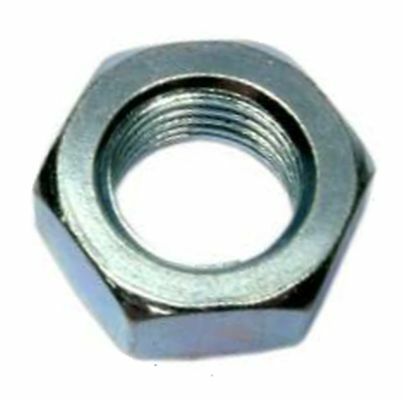 3/8"-16 Standard Course Thread Nut for many applications on 1963 and newer Harley Davidson... Also Club Car, Cushman, E-Z-GO, Legend, Pargo, Jacobsen, Taylor-Dunn and others. 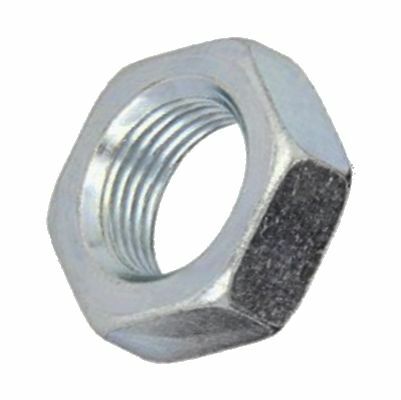 Left Hand Thread Tie Rod Jam Nut for 1991 to 1999 Taylor-Dunn model R-380... 3/8"-24 thread. 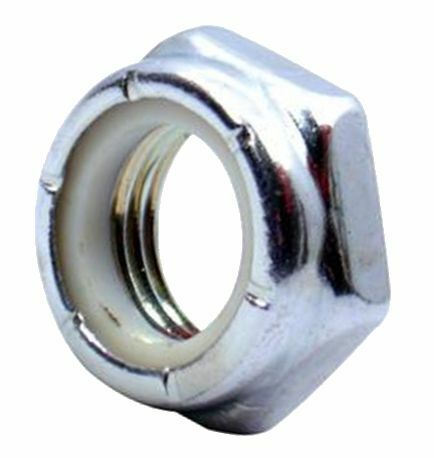 3/8"-24 Nylock Nut for Tie Rod End on 1991 to 1999 Taylor-Dunn model R-380... Also E-Z-GO, Harley Davidson and many others. 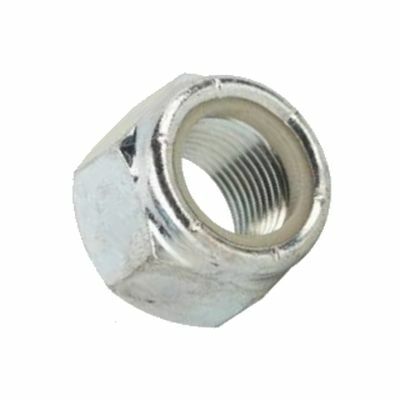 5/16"-18 Nut for Battery Hold Down Rod on 1976 to 2006 Club Car model DS & XRT... Also 1974 & newer E-Z-GO... 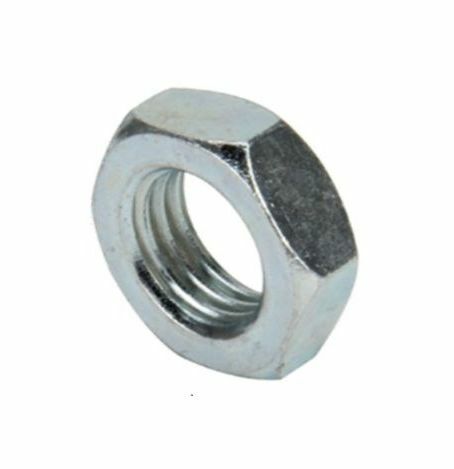 Many other carts & applications. 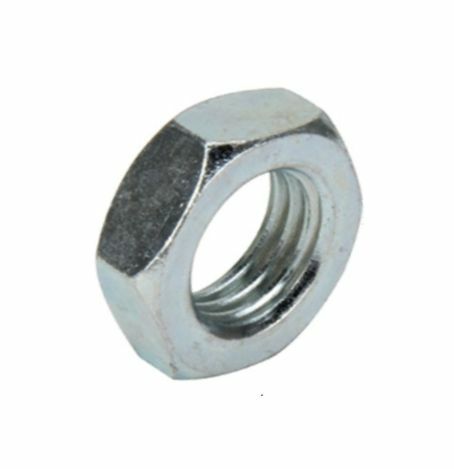 5/16"-24 SAE Fine Thread Nut for many applications on 1963 and newer Harley Davidson, Cushman, E-Z-GO, Taylor-Dunn and others. 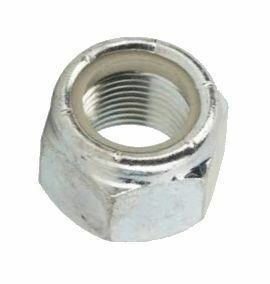 5/16"-24 Nylock Nut used in various places on E-Z-GO, Legend, Harley Davidson and Columbia Par Car, Taylor-Dunn and many more. 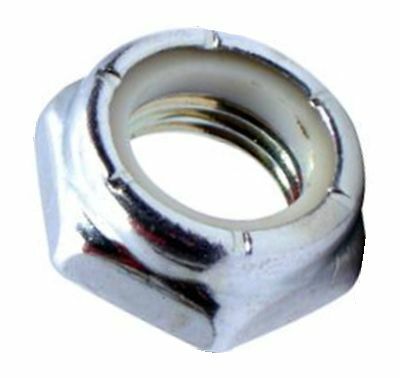 Slotted Castle Type Rear Axle Nut for 1963 to 1981 Harley Davidson and 1982 to 1995 Columbia Par Car... Also Pinon Nut for 1963 to 1993 Harley gas models and 1963 to 1965 electrics... Also Front Axle Nut for 1963 to 1969 Harley Davidson gas & electric three wheel carts... Also 1976 and newer E-Z-GO Rear Axle and Pinion Nut... Also Taylor-Dun Axle Nut... Also Melex, Pargo, Cushman and Jacobsen. 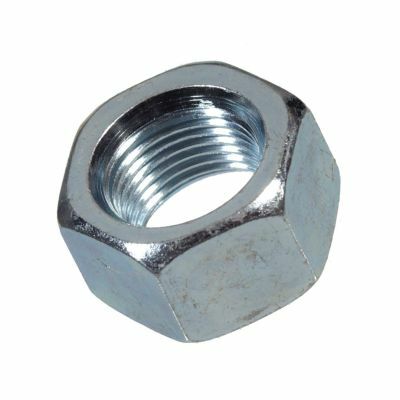 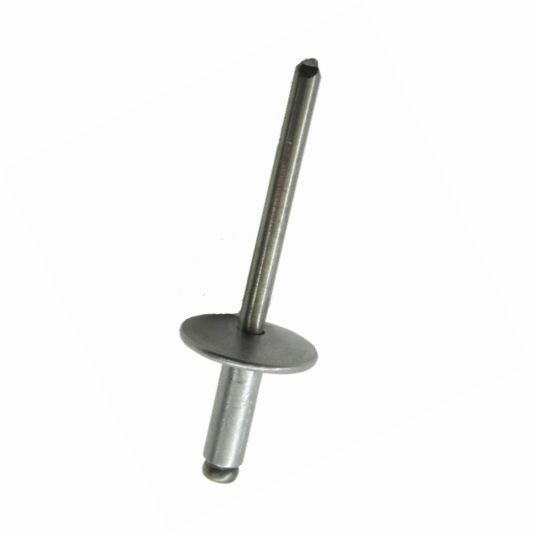 7/16"-20 Thin Jam Nut with Left Hand Thread for Tie Rod End Shank on 1990 to late 2000 Columbia Par Car models P4G, P4E, G4S, E4S, GU4, EU4, C6E, C6G, GD4 and ED4. 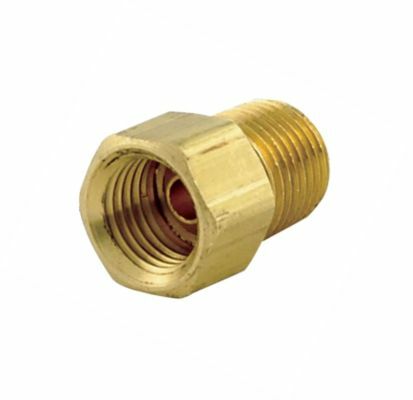 7/16"-20 Nylock Nut for King Pin, Tie Rod and Front Spring on 1986 to 2008 Columbia Par Car models P4G, P4E, G4S, E4S, GU4, EU4, C6E, C6G, GD4 and ED4... Also used on Cushman. 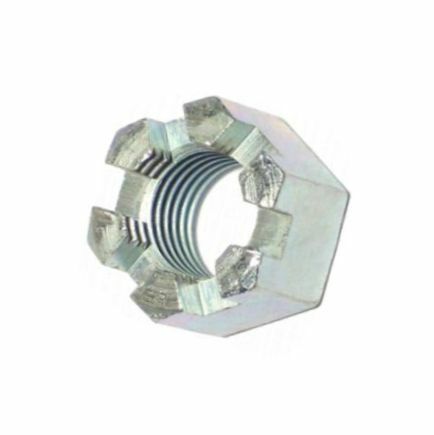 7/16"-20 Thin Flex Lock Nut for Steering Pivot Pin on Taylor-Dunn model ET-150 and others. 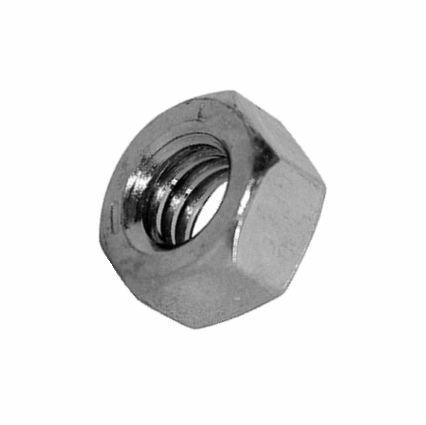 Left Hand Thread Tie Rod End Jam Nut for 1986 to 1989 Columbia Par Car... Also 1965 to mid 2001 E-Z-GO... Also 1974 to 1990 Melex... Also Cushman, Pargo, Legend... Also others with 9/16"-18 left hand thread jam nuts. 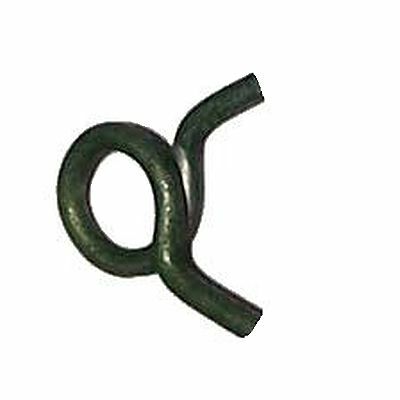 9/16"-18 Right Hand Thread Tie Rod End Thin Jam Nut for 1986 to 1989 Columbia Par Car... Also 1965 to mid 2001 E-Z-GO... Also 1974 to 1990 Melex... Also Cushman, Pargo, Legend and others. 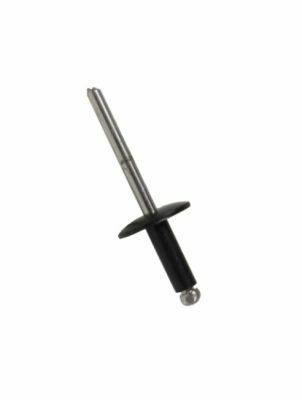 9/16"-20 Castle Nut for Tie Rod End and King Pin on 1986 to 1989 Columbia Par models P4G, P4E, G4S, E4S, GU4, and EU4... Also 1965 and newer E-Z-GO... Also Cushman, Melex, Nordskog, Pargo and others with 9/16" right hand threads... 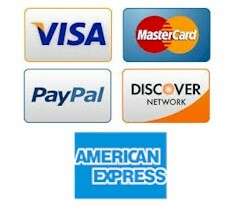 Many other applications. 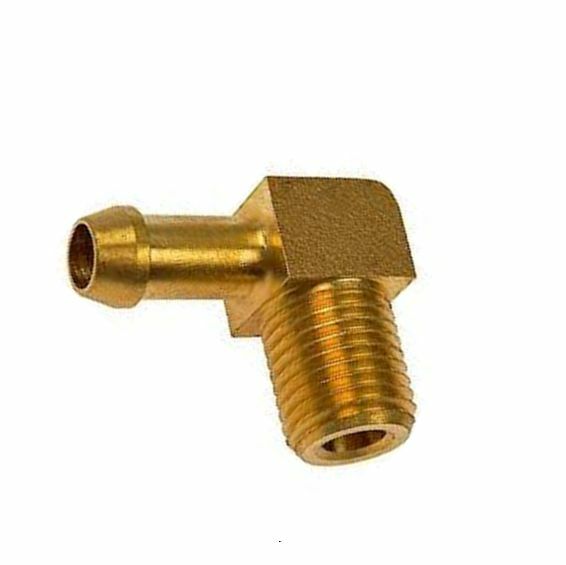 90 Degree Brass Fuel Fitting for carts with Kohler or Briggs and Stratton engines and others... Also used on 1961 to 1964 Cushman model 735 "Shark Nosed" Golfster... Also 1963 Scotsman series 736 and 737 with 5hp Briggs and Stratten... Also early Trucksters. 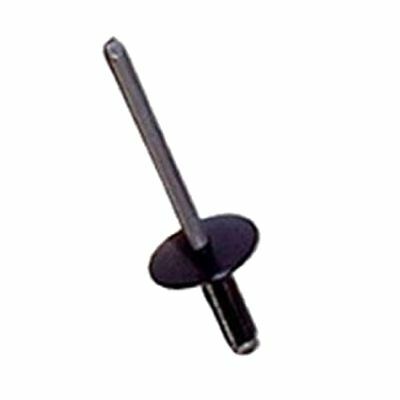 Accelerator Pedal and Brake Return Spring for Cushman Hawk models 797008, 797010, 797011, 797012, 797013, 797024... Also Accelerator Pedal Spring on 1961 to 1963 Truckster series 780 and later Truckster models 898543, 898546 and 898546C... Also Brake Pedal Return Spring on 1990 to 1994 Tug models 898340 and 898340A... Also many other Cushman carts and applications. 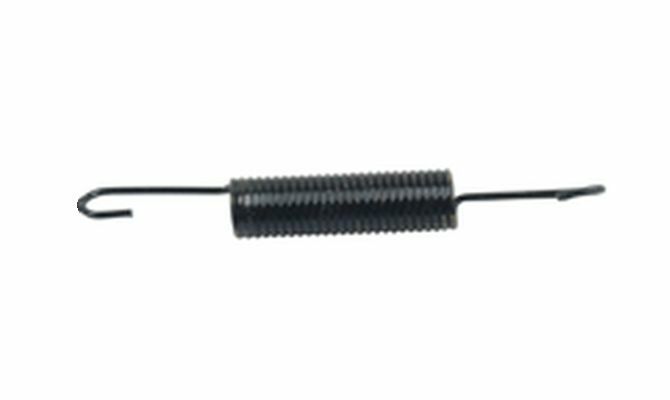 Accelerator Pedal and Brake Return Spring for 1954 to 1959 Cushman model 731-6 & later. 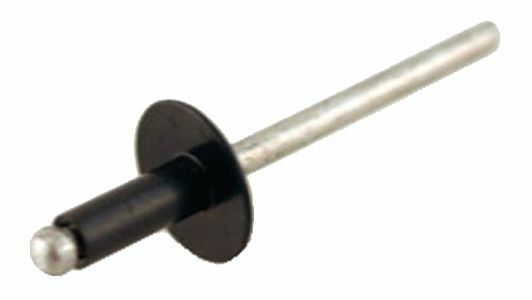 Caliper Brake Line Adapter Fitting for 1983 to 1988 Nordskog model 280/282 series with Ausco disc brakes +++ 1984 and newer Taylor-Dunn models B-246, B-248, B-254 and 1989 and newer B-660, B-661 and B-661E from serial number 127659 and 1988 to 1999 model R-380 and others +++ 1994 and newer Columbia Par Car Utilitruck, Shuttle, and Tram with hydraulic disc brakes +++ Fuel line to glass bowl fuel filter on 1953 to 1961 Cushman series 780 Truckster and with Cushman Husky single cylinder L-head engine. 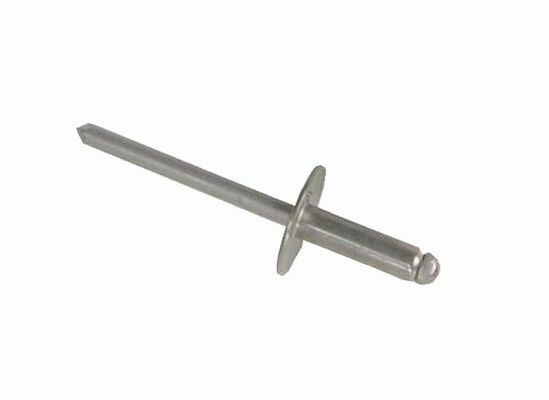 Banjo Bolt Fitting with 1/8" pipe threads for stop light switch for BK44-590 Master Cylinder used on 1970 to 1980 Club Car electric Caroche model... +++ 1974 to 1980 Elmco Royal Ride +++ 1974 to 1976 Pargo electric model 544 +++ Mid 1970s Eagle golf cart made in Long Beach California by Lad Industries +++ All above carts +++ NOTE: Has 1/2"-20 male threads with 1/8" (.120" by 27 tpi) internal pipe threads. 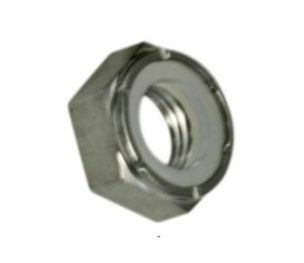 Front Axle Bearing Adjusting Nut for 1953 to 1967 Cushman 3 wheel series 730, 731, 732, 733 Golfster and Miute Miser. 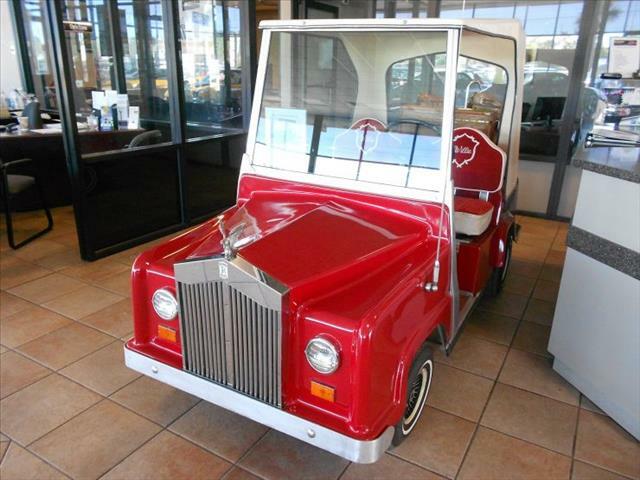 +++ 1965 to 1984 Cushman 3 wheel Haulster and Truckster without front brake with 18 hp engine and some with 9 hp engine.